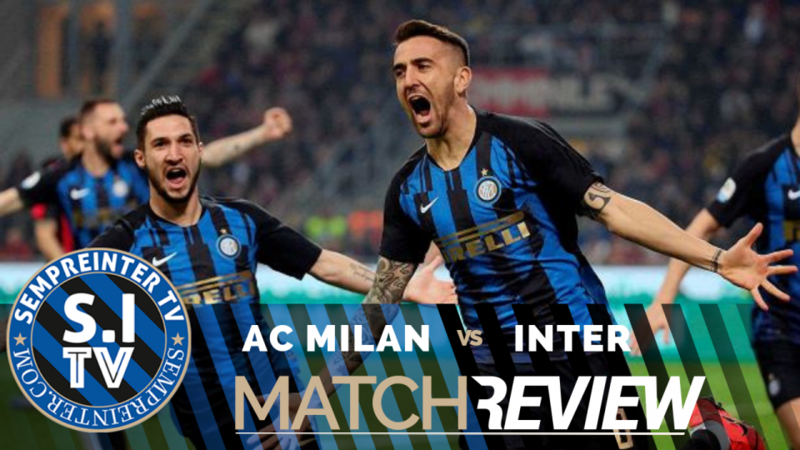 WATCH - #SempreInterTV - Inter Do The Double Over AC Milan: "The Perfect Performance"
In this episode of #SempreInterTV, Rahul reviews all that went down during Inter’s 3-2 win in the Serie A clash against AC Milan, away at the Stadio Giuseppe Meazza in Milano’s San Siro district. Rahul is joined by SempreInter.com’s Critty Smith who writes the Inter Legends series. The boys discuss how Inter managed to pull out the best performance of the season in the most important match of the season to beat city rivals AC Milan and overtake them in the league standings. The boys then preview the Serie A match against Lazio after the international break.